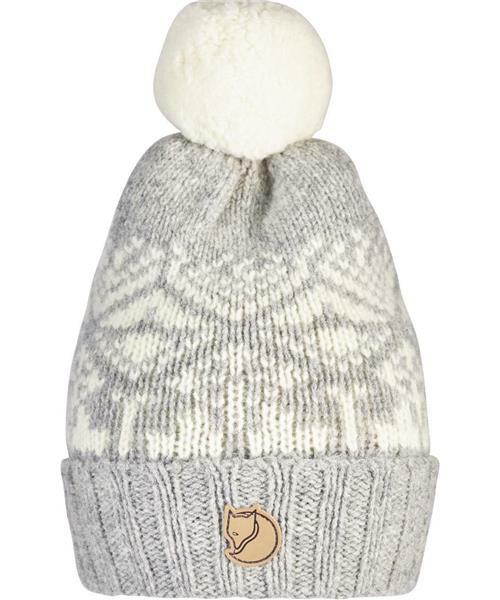 The Snow Ball Hat is a Jacquard-knitted hat in soft, comfortable lambswool that warms and wicks away moisture. Ribbed fold-up edge and logo at the front. Little pom-pom on top.